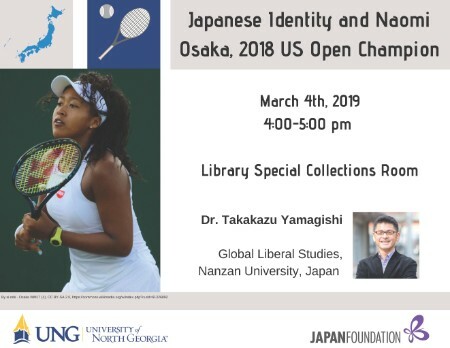 Dr. Takakazu Yamagishi, Professor of Global Liberal Studies at Nanzan University (Japan), will present a lecture about Japanese identity and Naomi Osaka, the professional tennis player who is currently ranked No. 1 in the Women’s Tennis Association. This lecture series is supported through the Institutional Project Support (IPS) Grant Program.